'POMPEY' ELLIOTT was a famous Australian leader of WW1. In civilian life, he was a respected Melbourne solicitor and Federal Senator from Ballarat Victoria. Before World War One he fought in the Boer War where he was awarded the DCM medal for ‘particular daring’ gallantry. During the Boer war he was promoted with a Officer’s commission. Upon his return to Australia he continued with law study and the militia. At the start of the Great War, due to his Boer War and Militia service he immediately joined the AIF and was made the CO of the 7th Battalion. He was an outstandingly successful military leader who was able to ‘train men to become soldiers’. Amongst his men he was known as 'the bravest of the brave' and was given the nickname 'Pompey' or just 'Pomp' 'Brig', he was renowned for never sending anyone anywhere he was not prepared to go himself. 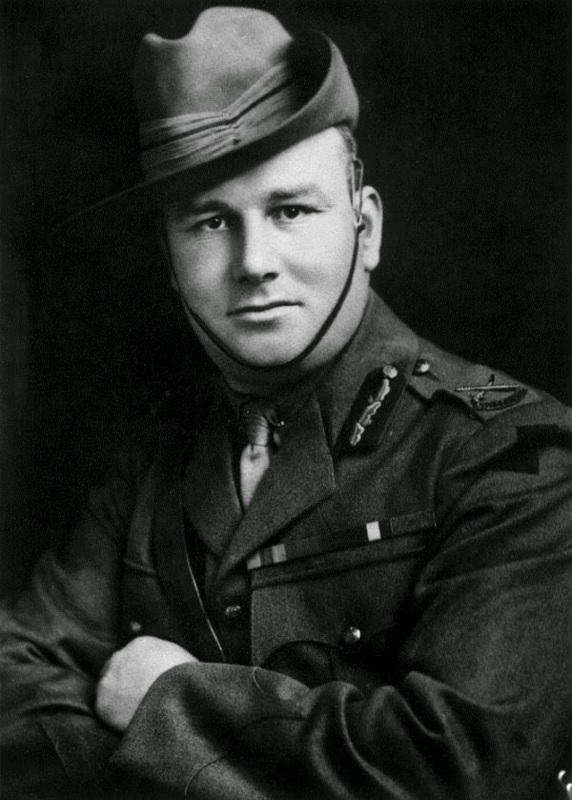 Elliott was wounded in the ankle while landing at Gallipoli with the battalion. The boot he wore is now part of the Australian War Memorial collection. He returned to Gallipoli in June 1915 and was present at the Battle of Lone Pine when men from his Battalion were awarded 4 Victoria Cross Medals. After Gallipoli in 1916, he was given command of the 15th Brigade shortly before the disastrous﻿ Battle of Fromelles. He was present at the Battle of Fromelles when his Brigade was decimated; he was never able to forget this loss. He went on to lead at the Battles at Polygon Wood, Villers-Brettoneux, Peronne and the Hindenburg Line. During the war Pompey Elliott was MID eight times, made a Companion of the Order of St Michael and St George in 1917, Companion of the Order of the Bath in 1918, and his other decorations included a Distinguished Service Order. Besides his Commonwealth decorations, he was awarded the Order of St Anne, 3rd Class and the Croix de guerre. After WW1, in 1919 was elected to the Australian Senate. He was plagued with the bad memory of the war years. He made an attempt to suicide by gassing himself at his home. The next day on the 23rd March 1931, while in hospital for this problem he did commit suicide – he was 52 years old. Pompey Elliot was buried on 25th March 1931 at Burwood Cemetery, the inscription on his grave reads, 'This was a Man'. 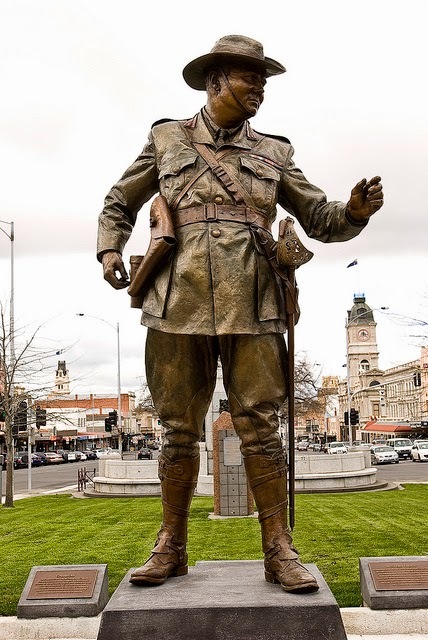 Recently, his memory was preserved in Ballarat when a magnificent statue was dedicated to him in the main Street of Ballarat.